Barbara Groves and Mary Jacobson of Me and My Sisters have done it again. One of the favorites in top selling books. 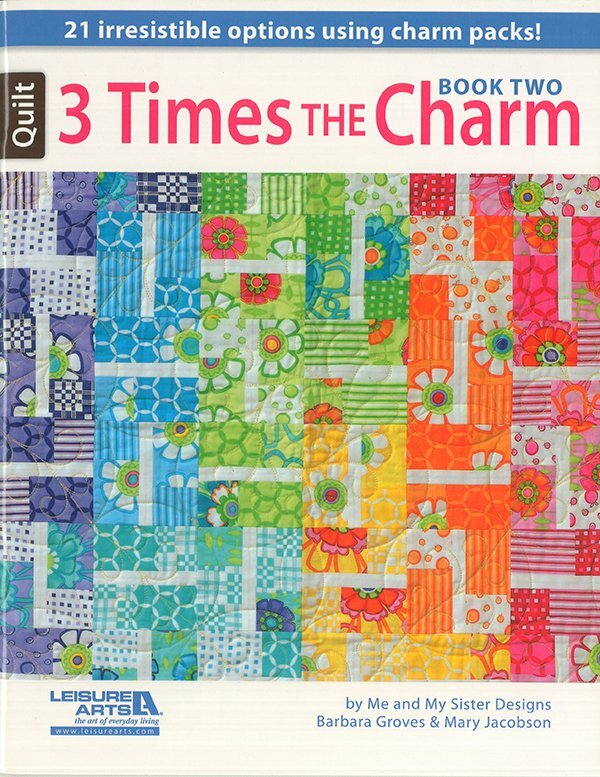 3 Times the Charm, Book 2: An exciting encore to the original best-seller from Me and My Sister Designs, this book presents 21 easy little quilts featuring charm squares, with 7 new designs each given in 3 color variations. What a great way to get inspired about your fabric collections! These are perfect for table toppers, wall hangings, and baby shower gifts! 7 Designs by Barbara Groves and Mary Jacobson: Hannah, Ingrid, Jennifer, Kendra, Leslie, Molly, and Nicole.